Fits right in. 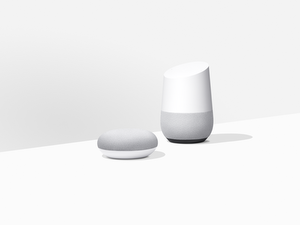 With a new design and two colors—Chalk and Charcoal—Chromecast blends in with your decor and the rest of the Made by Google family. Same size, but even more powerful. Thanks to a 15 percent improvement in hardware speed, our newest Chromecast supports smooth streaming in 1080p at 60 frames per second, giving you a more lifelike image. So when you’re watching the game, it will feel even more like you’re there. More than a screen—it’s a canvas. When you’re not streaming, you can personalize your TV with new Live Albums from Google Photos. Enjoy a constantly updating stream of photos of the people and pets you care about and skip blurry ones and duplicates—all without lifting a finger. Plus, new photos will show up automatically on your TV. Your tunes in every room. 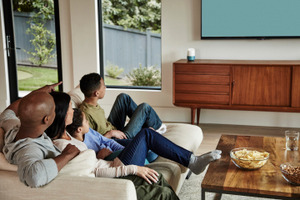 Whether you’re listening to your favorites on YouTube Music or Spotify, there’s nothing better than hearing on all your speakers—including your high-quality speakers connected to your TV. 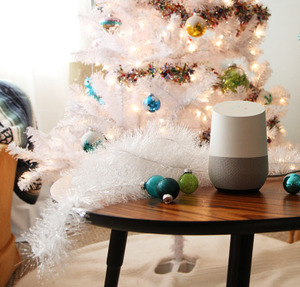 Later this year, you'll be able to add Chromecast to speaker groups, so you can listen to your music in sync throughout the house. 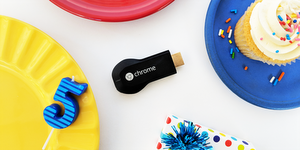 And, of course, Chromecast is still just $35. So it’s an affordable way to upgrade your TV at home or the perfect gift this upcoming holiday season for the streamer in your life. 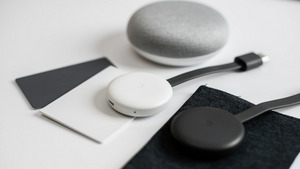 The new Chromecast is available from the Google Store starting today in Australia, Canada, Denmark, Finland, Great Britain, Japan, Netherlands, New Zealand, Norway, Singapore, Sweden, and the U.S., with even more countries to follow in 2019.